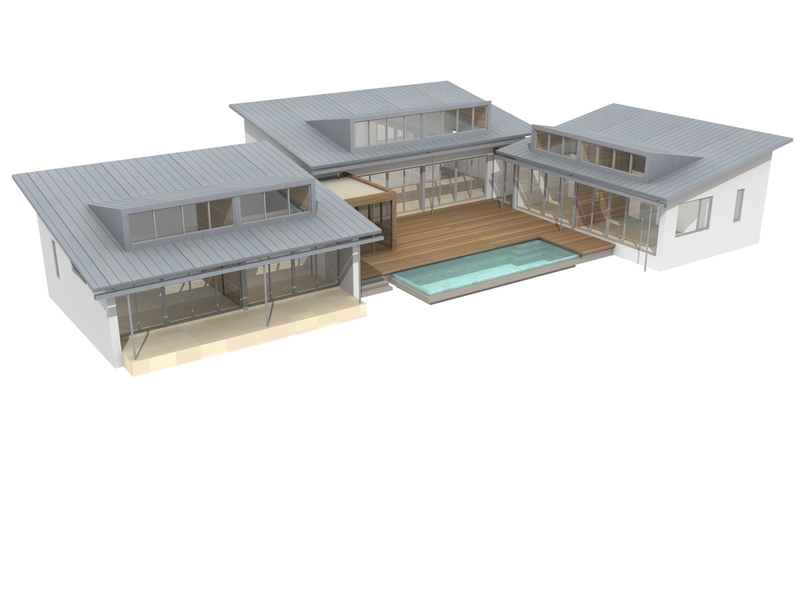 South Caicos Island A series of sustainable villas sit lightly on the land on the northern peninsula of South Caicos Island, in variations conforming to six different formal typologies. The villas are configured to create a wind-sheltered pool terrace, and site to maximize views of the ocean and island landscape. Rainwater cisterns for domestic water use, natural ventilation, and indigenous plantings reinforce the sustainable planning strategy.